This computerized report reveals the daily trends you can expect to encounter over the course of the year. 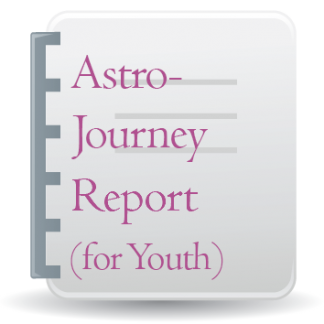 The report is based on the transits of the Sun through Pluto, as well as the four major asteroids and Chiron. The Daily Forecast is designed to assist you in making the best possible decisions and will help you feel more confident and clear about how to best deal with the circumstances and situations you encounter. Features/Limitations of this report: This report includes daily entries as this is its main focus (other transit reports list influences as they happen and some dates are skipped). Some days have more than one influence. This will please people who prefer to see daily entries. 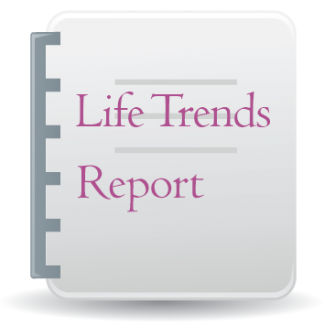 The major limitation of this type of report is that it doesn’t show the general life trends and longer-term influences in a larger time frame/context as the Life Trends and Time Line reports do, for example. 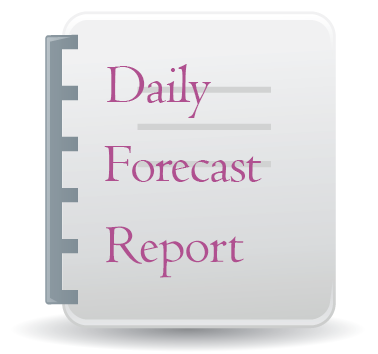 2019 Daily Forecast Report for One Year is $3.50 US and is delivered by email via an attachment, typically within 24 hours of order placement and receipt of the necessary details required to create the report. Note that you will not receive the report instantly, as it is not generated online. Orders are processed manually. 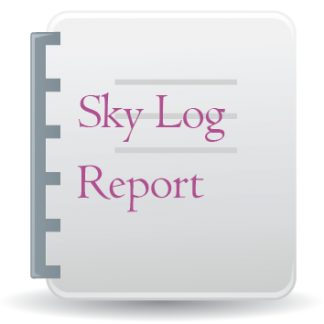 The report will be cast for one year, starting from the day you place your order unless requested otherwise. You can pay instantly online using a credit card, debit card, Paypal balance, or e-check. Pay with your credit card or debit card: We accept payments through PayPal. This safe and secure service allows our readers to pay instantly online using their credit cards, debit cards, or e-checks. 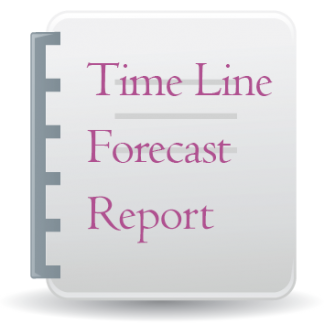 Note that there are 5 details required for this report: Your name (it can be the first name only if desired), birth month, day and year, birth time, birth place, and current place of residence. Important Note: The email address we use to send your reports is the one you register with Paypal or use during the Paypal shopping cart checkout process. If you’d like your report(s) sent to a different email address, simply specify the email address in the “Optional Instructions” field. #DFR2019 $3.50 US 2019 Daily Forecast Report computerized report delivered through email within 24 hours of receipt of payment AND full information required to generate the report. Please enter your name (can be first name only, if desired – the name doesn’t affect the results), your birth date (Month, Day, Year), your birth time (example: 7:36 PM – do not adjust for time zones! ), and birth place (city, state/province, country), as well as the current place of residence (city, state/province, country) into the appropriate fields below before clicking on the Add to Cart button. Note: This report, by default, begins on the day of order, but will cover the full 2019 regardless. If you’d prefer a different starting date (in the past or in the future), let us know in any of the above fields (example, in the Current location field, you might enter your current city and state “start December 5, 2019”) or in the Optional Instructions field during checkout. Your Daily Forecast begins on the next page. The Forecast is self-explanatory: an astrological forecast for each day is given. You may notice that to the right of the date is a code, such as “Mer Tri Jup”. This code indicates the astrological influence that is in effect on that day and is causing the astrological influence. You can ignore this code; it is printed in case you are interested in the astrological basis of the interpretation. Most interpretations are short, about one paragraph. But occasionally there is an interpretation that is several paragraphs long. These longer interpretations are very strong and may affect you for several days before and after the date on which they occur; sometimes they are in effect for months and years. In case you are interested in astrological theory, here is more information on how your Daily Forecast is produced: First, all of the major astrological influences on a given day are determined, and then the most significant influence is selected and printed. For example, a conjunction will be printed if one occurs, and very often an outer transiting planet influence will be printed because these influences tend to be more powerful. By selecting the more dominant influences of the day, your Daily Forecast focuses on the most powerful influences of each day so that you pay attention to those issues which are most conspicuous and relevant to you each day. We hope you enjoy your Daily Forecast. Remember that astrology is not fatalistic. Astrological influences are real and they are powerful (we are certain of this, although of course many skeptics disagree), but you have the free will to make the best of what life serves up to you each day. We hope that your Daily Forecast will assist you in making the best possible decisions and will help you feel more confident and clear about how to best deal with the circumstances and situations you encounter. This is an excellent time to be out and about. There are significant opportunities to make connections, exchange information, and to learn something through a meeting or chance encounter. Letters, phone calls, and conversations that you initiate are productive at this time. Confusion, inability to focus on mundane tasks, poor understanding or miscommunication between yourself and others, and the desire to evade real responsibilities and challenges are negative potentials for you now. You are more sensitive, impressionable, dreamy, or idealistic at this time also. Cooperation and mutual support in business-related and career-related matters is also very high. You will also find that peace and cooperation can be established between factions that have been at odds with each other. Legal matters and any involvement with government agencies or large organizations work out fortunately now. Personal relationships are also harmonious now, and there is an increased appreciation for each others’ goals and aspirations, and you help each other more in achieving these goals. At this time you will want to branch out; you have the energy to do more and take on more challenges. This is a very good time to begin implementing the plans and promises that you have made to yourself, as any new endeavor is likely to succeed. A new health regimen, actions taken to advance professionally, or anything you do to move toward achieving a cherished goal or ideal goes well now. You are receptive to beauty at this time and want to be surrounded with harmony, beauty, and kindness. Also, you feel tender and gentle toward others, and you want to please or to be of service to them in some way. Some selfless generosity or an effort on behalf of someone in need will make you feel very happy now. Intimate relations and attractions are intensified now. You experience strong feelings of attraction and desire and, if you are unhappy in your sexual life, you can be very tense and angry “for no reason” now. You may be tempted to act on an infatuation. Some illusions and glamorous notions that you have are painfully removed now. You may discover that a movie star, hero, lover, parent, or other person you admire is not as “divine” as you thought. Doubts about your ideals and religious beliefs are also likely to arise. Even if you are an agnostic or atheist, you will now question whether your belief system is perhaps a little superficial. You may find yourself swinging between doubt and a rather self-righteous, rigid, and dogmatic adherence to a philosophical or religious belief system. Avoid the tendency to be rigid and judgmental! This is a time when your ideals and beliefs should be changing and maturing. However, if you are fearful of change and uncomfortable with doubt, you may become entrenched in a dogmatic attitude at this time. Some people experience this astrological influence as a discontent with life, moodiness, and depressed feelings with no apparent cause. These feelings are usually accompanied by low physical vitality and susceptibility to colds and other illnesses. These problems arise because your dreams and hopes have been dissipated. If your “bubble bursts”, then you must probe within yourself for a new star to hitch your wagon to, a new vision for yourself. Avoid the tendency to become despondent and, by all means, refrain from escapism via alcohol or drugs. Your ability to concentrate and focus on your work is very good now. This is a time to attend to details, take care of practical business, and to make your life more stable and secure. It would be beneficial to consult advisors on investments and long-range plans and to put your affairs in order. Eliminating waste and inefficiency is important to you now. Your feelings, friends, and female relatives figure prominently in your life now. You realize how much you appreciate and need their love and support, and you are particularly affectionate now. You may also initiate a relationship in which you take care of, support, and “baby” someone else. Relaxation, enjoyment, and pleasure are emphasized now. This is not a time to push yourself or to be involved in activities that require intense competition or a great expenditure of energy. Cooperative, harmonious personal and professional relationships are more important to you at this time. You feel like socializing and being friendly. Intellectual disagreements or differences of opinion and viewpoints arise now. You may have to speak your mind in a way that challenges or unnerves someone else. However, your mind is very active and sharp, and your reasoning power is good, so this is a good time to do mental work. Your competitive, aggressive, and/or sexual energies are stimulated, and your temper is apt to be aroused also. Patience, especially with family members, is in short supply. Some change in attitude towards your ideals and spiritual values occurs now. This change is very inner and gradual, so it is not likely that you will have any great concern or difficulty about these changes. A new attitude toward the religious beliefs that you were taught as a child is very likely to develop now. Personal and creative projects are likely to be profitable during this time. You must assert yourself and use your innate talents to receive the rewards or benefits of these efforts. A relative or associate may suggest a joint business venture or new idea which may prove to be successful for you. On the other hand, you may feel like leaving your comfortable and serene surroundings and enjoying a spontaneous vacation or weekend adventure. This is also a good time to visit with family, relatives, and siblings where there can be a lively exchange of ideas and communications. Withdrawing from emotional social contact is favored now, for even when you are with others you are likely to feel separate and alone. Sadness and disappointments in your personal life are also probable now. Inadequacies and flaws in your friends or lovers are particularly bothersome to you now, and you may feel that you have nearly exhausted your patience for dealing with these problems. It is a time to be quiet and to look objectively at how your relationships are going. Though not a pleasurable time, this can be a fruitful period in which to learn more about love and what you truly value. You are in a festive, partying mood and just want to play and share a good time with your friends. Community social events and fellowship are very rewarding now. Also, at this time it is hard for you to say no to food, drink, or extravagances in any form. You are also very generous and tolerant toward others. Though you feel wonderful now, you’re likely to regret your actions later if you don’t curtail your impulses to overindulge, overspend, and enjoy too much of a good thing. This is an excellent time for home improvements, particularly those which enhance the appearance and beauty of your living space. Decorating or rearranging furniture in order to create a more harmonious and pleasing arrangement is favored. Relationships with your family are very satisfying and loving, and you may also wish to invite company into your home. The role of gracious host or hostess suits you very well right now. A fast pace, with many letters, phone calls, errands, meetings, or discussions, is on the agenda. You may feel mentally restless, impatient, and overly eager to get your own ideas across. Also, a situation may arise which requires you to say what is on your mind, to make a decision, or to clearly voice your personal opinion on some issue. This is a time to take in information which can be of real practical assistance to you in reaching a significant long-range goal. Some news may reach you which will create some minor distress and compel you to re-examine or reassess a position you have taken regarding your career or work in the world. Don’t try to force issues or come to any definite conclusions now and don’t sign any contracts which require too much compromise on your part. Simply gather information and, if necessary, delay direct negotiations. Your mind is serious and you are able to concentrate on work that requires patience, attention to detail, and precision. Practical concerns dominate. It is a good time to learn practical skills, do your taxes, organize your files, and take care of business. You’ll want to avoid light social conversation or trivialities that distract you from your work. Your work is exceptionally well-organized now, and you are able to accomplish a great deal. This is a time when you work patiently and perseveringly, and you make enormous progress in any task or undertaking that you put your mind to. You are able to concentrate on the essentials and the nitty-gritty details now. Use this opportunity for accomplishing practical tasks and achieving concrete results. You are able to work long hours without fatigue and enjoy your work as well. Your career and employment are stable now. There are not likely to be many big surprises and everything works smoothly. You might be tempted to lay back and coast for awhile but, rather than feeling relaxed by doing this, you will only feel bored and uninspired. This is a time to apply yourself and continue making steady progress and effort. The work you do now is appreciated by others, but the greatest benefits will be reaped much further in the future, when the progress you make now will help fortify your position in the world and strengthen your assets and resources. This is a good time to schedule social activities or even business meetings where tact and friendliness would be a plus. You act as a diplomat and harmonizer between people with differing viewpoints. Also, attending cultural events such as an art show or a play is favored. Thoughts of love, an appreciation for beauty, and an aesthetic enjoyment of your surroundings are brought to the fore. A short pleasure trip would also be beneficial now. It requires great determination and effort on your part to bring your artistic, creative and intellectual potential into actuality. Circumstances beyond your control tend to discourage you from achieving your goals and interfere with your ability to persuade others to approve of your intentions and goals. Concerns over investments, insurance, taxes and inheritances may involve thorough evaluation and research or they can cause setbacks to your progress. You can become distressed or bothered by your own or someone else’s compulsive or obsessive thinking. It is advisable not to make any drastic changes in your joint endeavors with other individuals, as confrontations and power struggles will likely surface. Social events, cultural activities, and entertainment are highly favored. You feel good and can enjoy yourself. There’s a tendency to overindulge in food or other comforts. Dreams, wishes, and fantasies about love are strong now, and you may be infatuated with someone you meet at this time, only to be disappointed later when you discover this person does not fulfill all of your expectations. You are simply not seeing people objectively now. Your imagination is very active and creative, however, and so is your yearning for something beautiful. The artist in you emerges, and your creations please and inspire you. Your relationships are especially affectionate and friendly at this time, and you may benefit socially or materially through an opportunity offered to you by a friend. This is a good time for parties, social gatherings, and other pleasurable activities. This is a time for being with people and especially giving something of yourself and your talents to others. You want to be seen and noticed. You receive appreciation and a positive response and possibly an opportunity or personal contact which will be quite beneficial. What occurs now makes you more aware of what you need, feel, and want in your relationships. If you are unhappy in your personal life, this is brought out now, and you’ll need to face what is causing your dissatisfaction. Differences in personal style, tastes, and ways of expressing affection may emerge. You also feel amorous and loving and, if your personal life is going well, this is a time to really enjoy and appreciate it. You are craving emotional excitement, stimulation, and something new and alive. This is a time for music, dancing, and being joyfully spontaneous. Your social inhibitions are loosened, and you may be tempted to have a wild flirtation or to act in a rather reckless way in a relationship. You are a peacemaker now since harmony in your environment seems more important than ever. Loving relationships, giving and receiving affection, and attracting people into your life who are good for you are very likely at this time. Ambivalence or disagreeableness in a close relationship arises now. An old friend or lover who is rather disturbing to your peace of mind may contact you, or you may feel uncertain about where you are going in a particular relationship. You may aggravate or pick at a friend or loved one in the misguided belief that you can change things. At this point, however, it is unlikely that your words or actions will create happiness or the desired outcome. Try to be good natured about any differences that are apparent to you now, and let it pass. Physical thrills and excitement have a strong appeal for you now, and you want to do something new and out of the ordinary. You also have a lot of energy and quick reflexes. A vigorous game of racquetball or tennis or some other fast-moving competitive sport would be a good outlet for you now. Acting on your spontaneous impulses and following through on some of your more unusual or “crazy” desires will yield surprises, mostly positive. You are in an eager, confident mood and this is a good time for any competitive endeavor or anything that requires a lot of energy. Marriage or a love relationship grows more stable and mature. You take the obligations and responsibilities in your partnership very seriously and will work hard to prove to your mate that you are loyal, dedicated and committed. This can be a time when you and your companion cooperate effectively on formulating long range plans and aspirations for the future. You will now have the patience to learn the art of compromise in relationships. By being faithful and true to your mate, your efforts will be appreciated and respected. On the other hand, a favorable opportunity or benefit can arise in your partner’s career, and you both enjoy the rewards of this good fortune. You may be easily offended and hurt by a misunderstanding which arises during this time. Problems can occur because you are unable to communicate in a way that harmonizes with others now. Your thoughts and ideas may be confusing or off the beaten track, resulting in verbal arguments or disapproval from those in your environment. As a result, antagonism or intimidation can occur or true communication may be withheld. Also, your thinking is subject to fluctuations and, therefore, you may use subtle tactics to get your point across or to safeguard your position, such as sarcastic humor, put downs, or wounding remarks. Unfortunately, you may not realize that you are putting people on the defensive and in turn only hurting yourself. If you can use this time to express your thoughts in a way which acknowledges the sensitivities of others, there can be an honest interchange or communication which still allows you to disclose what is actually on your mind. Your thoughts turn to love and this is a favorable time to bring out any concerns you have in your personal relationships. Agreements and cooperation can be achieved easily now. You readily discuss your personal needs and desires. Also, you are more aware of beauty and may want to rearrange your decor or buy something to beautify your surroundings. Intense, irrationally strong or compelling feelings emerge now and intimate relationships are deeply emotional. You’re apt to overreact. Today you feel less competitive and ambitious about practical and mundane matters. The world of imagination, fantasy, art, music, or mysticism is very appealing to you now, and if you have talent in any of these areas, this can be a creative and fruitful time for you. However, the negative possibilities for you now are being undisciplined, slack, indefinite, or wasting time and energy. You are contentious, argumentative, and impatient now. Disagreements erupt because you aren’t willing to overlook minor irritations as readily as usual. Confrontations with others may be fruitful if you don’t allow your anger to get out of control. You are highly competitive at this time. You may not feel very social, but friends or social commitments pull you away from home. Alternately, you may want to go out and enjoy some time with your friends or do some light socializing, but you are needed more at home right now. There is an uneasy balance between your loyalty to your family versus your friends or other pleasurable interests. It is an either/or situation and probably something has to be sacrificed temporarily. Your feelings, emotional needs, and desires for closeness and a sense of belonging come to the fore now. You give your home, personal relationships, and inner life more attention. Problems you may have been avoiding in these areas are brought into focus. Confidence and inner harmony prevail. You can move forward with creative projects and express yourself more easily and comfortably now. Your efforts are well received at this time. Your drive for personal power, achievement, or control over your life is very strong at this time. The tyrant in you emerges, and you can be excessively willful, domineering, or compulsive about doing what you want to. You battle anyone or anything that is an obstacle to your individual freedom of action, and ego conflicts or a furious power struggle may ensue. Also, you can be unmerciful with yourself and your own weaknesses. You are likely to push yourself much too hard. This is an excellent time to make decisions about your financial affairs, as your judgment is sound and reliable, though a bit conservative. Investing in beautiful things which are likely to increase in value over time (such as jewelry or fine art) is favored. You are not interested in fleeting excitement or frivolity now. Spending “quality time” with an old and trusted friend or enjoying the company of an experienced, mature person who has much of substance to give you will make you happy. Beware of a tendency to overreact, to go to extremes, or to try to force your intentions on others regardless of the appropriateness of your actions. A minor crisis in the domestic sphere or an emotional confrontation is possible. The need for personal recognition and success are key issues during this time period. You feel a deep, irresistible urge to better your situation in life, to be less dependent on others, and to achieve a higher level of prosperity, well-being, and freedom in your life. Very often this astrological influence manifests as the feeling that now is the appropriate time to advance to a position of greater influence and prestige. You feel that you are as knowledgeable and capable as your boss or supervisor, and it is high time that you started receiving more of the benefits and prestige. Needless to say, power struggles and conflicts with others can consequently arise. In the end, some level of advancement is likely, but be careful to make sure that your desires are not based primarily on greedy, self-satisfying, and self-centered motives. You are more open about your inner desires and goals now, and you bring forth interests and desires that you have previously kept to yourself. If you have a hobby or strong personal interest in a subject, you bring this interest out in the open now. A goal or vision you have been working toward comes into fruition now, or gains momentum and positive recognition from others. You feel expansive and inclined to take risks, and you may be overly extravagant now.